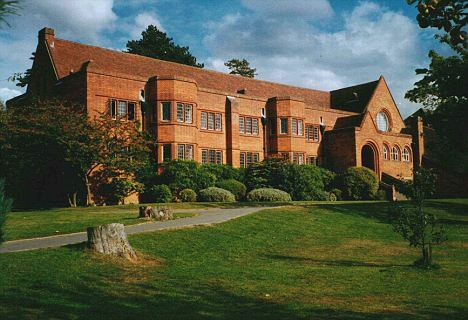 8pm, Saturday 15th November 2014 at the Lupton Hall, Bedales School in Hampshire. ‘Pedal Folk’ And ‘Three Cane Whale’ present a musical celebration of Edward Thomas’s work and life during the annual Edward Thomas Symposium. This April ‘Pedal Folk’ loaded up their bicycles with two guitars and a violin and undertook a musical recreation of the 1913 London to Somerset cycle journey made by Edward Thomas in his book ‘In Pursuit Of Spring’. Their performances include original songs crafted using Thomas’s words and imagery, readings from ‘In Pursuit Of Spring’ and songs and tunes mentioned and loved by Thomas and/or collected in areas he passed through. Fans of ‘Three Cane Whale’ who have poured over their sleeve-notes, will already know that Thomas’s poetry has been a significant inspiration for them. For those of you who don’t yet know this brilliant multi-instrumental Bristol trio (with a line-up including mandolin, harmonium, bowed psaltery, miniature harp, trumpet, and dulcitone), you are in for a treat. Edward Thomas is one of our country’s unsung literary heroes, whose work deals with themes that still have huge resonance today such as the encroachment of industry and large scale mechanised agriculture into the natural world and the search for traditional values and national heritage during uncertain times. Whilst many contemporary poets and musicians cite him as an influence, his poetry is little known and his prose even less. In 1917 Edward died tragically during the Great War and there is no better time than the present to reignite an interest in his work. This entry was posted in Gigs, News and tagged bedaleslupton hall, excited, folk, gig, music, our idols, they are like, three cane whale, with us, wow on October 8, 2014 by Robin Grey.